DIGGERNAUT- “ A STITCH IN TIME SAVES A NINE”. If you are a journalist or a website owner, you need to gather information by searching from different sources and then process, organize, analyze and use it in your work. The time taken to do this task is bigger as every year information becomes larger and larger. You can’t collect data by doing a copy and paste from the websites you need as it’s very complicated and time consuming. What you will do now? Do you have any software or any other option by which you can do this work fast and easily? I am sure, you don’t have! But now, you have the opportunity to automate this long process through Web Scraping and it is done by a software called “Diggernaut”, available in its Beta version currently. It is an amazing tool which will not only speed up the data collection but also saves a lot of time to do other important tasks. Want to know what Diggernaut does exactly for you? Let me tell you! It can do data Extraction, Scraping and Collection in such an easy way. Isn’t it cool? 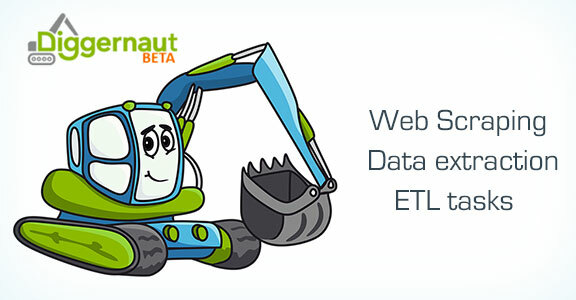 The Diggernaut is a cloud based service which turns unorganised web content into well structured data sets. Suppose, you want to copy the information from a suppliers site, traditionally you will copy the content line by line and save the data. But with Diggernaut, you can do it within a couple of seconds with the help of a digger, a tiny robot that can do web scraping on your behalf and extract data from websites for you, normalize it in a suitable format and save it to the cloud. Just leave it up to them to get your work done. Once it’s done, you can download it in CSV, XLS, JSON format or even retrieve it using the API. You can use one digger for multiple sites or pages to collect data having the same structure. Product prices and other related information from retailer sites. Analytical data representing election status and reports and even obtain court related documents. Different types of events happening in different parts of the world. You don’t need to be an expert in programming, you can use its Visual Extractor Tool to build configuration for your digger. It’s a simple point and click application where you select the data you want to extract and set its output structure. It has OCR functionality too, which allows you to extract text from images. There are video tutorials explaining how to use it on its sandbox website. If you don’t want to spend any time on diggernaut, just leave the work to its developer, who will do all the work and you have to simply receive the data in the requested format. So, when you are living in this Modern Information environment, then why do you waste your time on doing the work manually? Just try Diggernaut and make your work easy! Diggernaut offers a Free plan which you can use as long as you like which is much better than the free trial due to its better functionality. Give it a try now! PROS: data collection, scraping and extraction made easy; saves time; turns web content into data sets; helpful in almost every organisation; free. 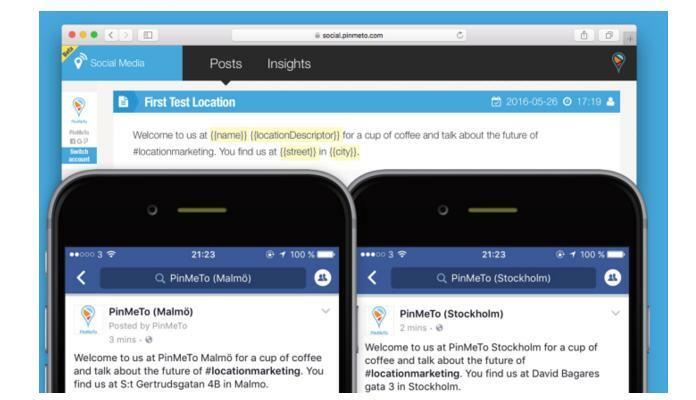 In latest development the popular Sweden-based PinMeTo successfully launched location marketing platform with nifty new feature. PinMeTo for Web immensely focus to make it infinitely simpler for major brands to maintain a local presence on familiar Facebook by somewhat automating the creation and updating of multiple local Facebook pages. The PinMeTo for Web app does so through what is primarily a templating system that allows you create a single message with local, custom content and post it to some or all of your local pages on Facebook. 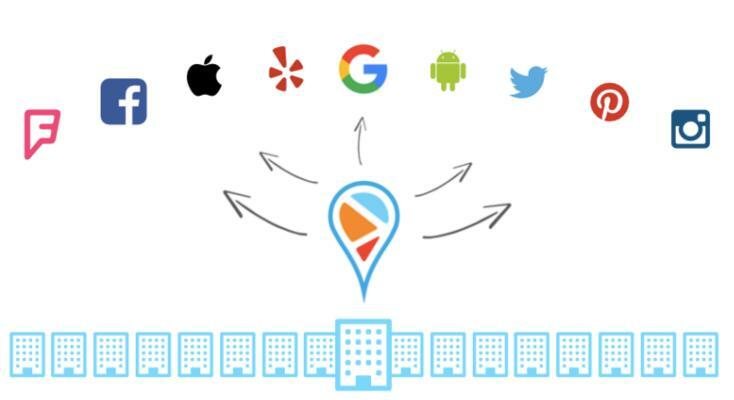 They are virtually trying to solve the complexity of digital local presence for national or global multi location businesses being respectively as fitness chains, retailers, banks, fast food chains or hotels where the common denominator is multi locations and multi platform presence. Moreover the popular PinMeTo’s own studies have also revealed that content published locally generates up to 300 percent more views, and 75 percent more clicks, Likes and shares on Facebook than the same content published on the respective brand’s central page. There was also a similar study from SocialBakers that actually claims to illustrate that local Facebook pages have between a 107 and 346 percent higher engagement rate than a brand’s generic page. The problem almost lies with “acting local” when you’re a national or global brand is that it takes extra resources to maintain properly hundreds of local Facebook pages or a truly local presence across any popular social media platform. It actually means not bothering at all and in turn that means leaving money on the table. The thinking behind PinMeTo’s solution and their future product pipeline is to make the process scale. 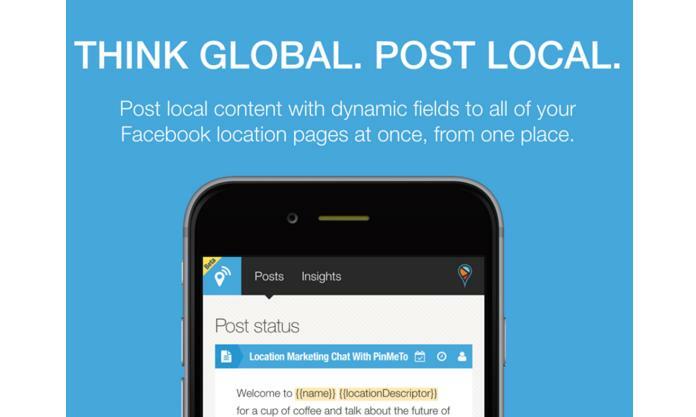 So eventually by using popular PinMeTo brands which could now publish posts comprising dynamic localized fields to all of their international locations so that each post would contain locally respective details namely as address or phone number. 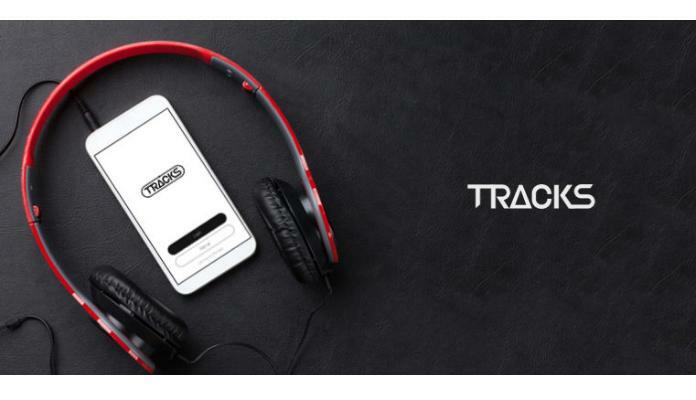 Tracks for Web is the popular app for runners that provide a dynamic auditory narrative. 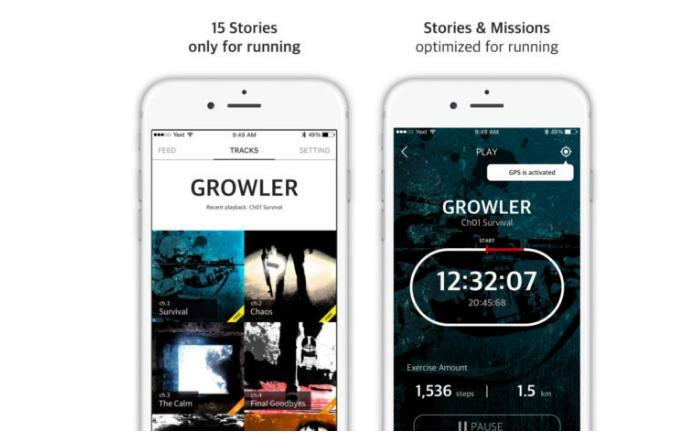 While running, the user hears two kinds of sound a story part, which has a narrative, and the mission part, which offers a guide for running. For instance the users might hear a monster chasing you or a building collapsing, and be given a mission to jog or sprint through the area as appropriate. 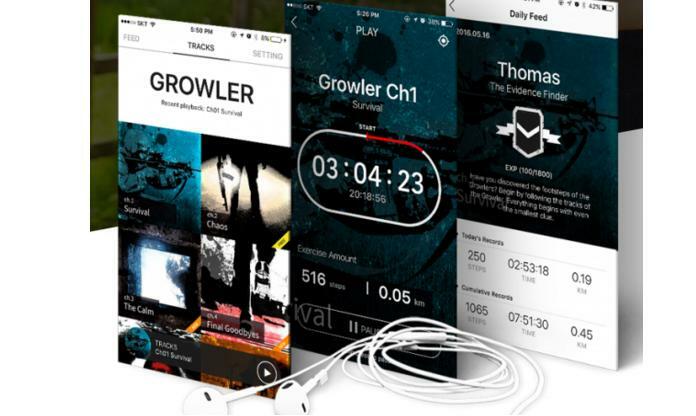 Tracks for Web is a quality exercise app that makes the running experience more fun, as it could be rather beneficial aspects in most cases. The whole game is played using the sound alone. It was amazing experience to say the least, and wholly drawn into the game fully immersed. In future it would be build something with just the sounds. They could be seen it on wearable devices, and it’ll be a much more interactive app. The first thing that comes to everyone’s mind is that they have many more stories available, across numerous kinds of genres. ‘Growler’ would be the first story that they have on Tracks, and it’s an action or sci-fi type of genre. Perhaps in five years they would have other stories in action, thriller, or even romance genres in addition to Growler. It is their goal anyway and expected to see a greater variety of genres available on Tracks in the future for sure. A daily feed would be formed for you to check your exercise record. The users could also check a current rank, experience points and exercise amount. They should not miss out running tips and behind stories. It is revealed that many music passionate enthusiasts have attempted to build a comprehensive timeline of the history and progression of music genres like this one and that one; no platform has been as professional as MusicMap for Web. 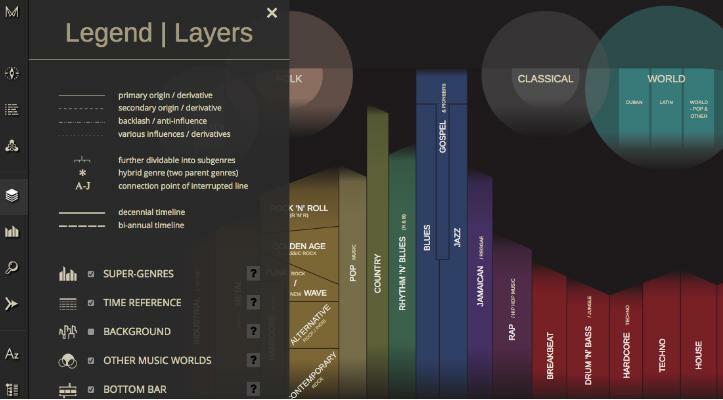 This popular app was developed by Kwinten Crauwels, MusicMap is an interactive online encyclopedia that effectively visualizes the origin and evolution of over 200 music genres in the respective period between 1870 and 2016. More interestingly what makes the website particularly beneficial and engaging is the variety of ways it provides global users to interact with the history of music. 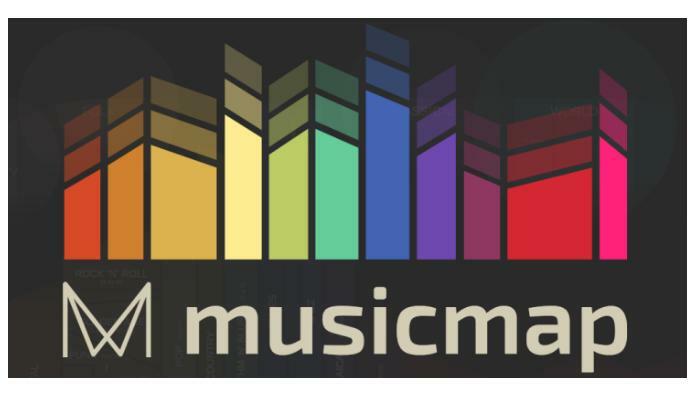 To trace the quality lineage of a specific musical style, the users could simply click on the genre that interests you and MusicMap would instantly offer you information about their origin with a list of other similar relevant genres and styles. In addition the users could also effectively navigate through MusicMap with your mouse and use the scroll button to zoom in on the genres that you like to search out more about. For sake of users and to simplify exploring the history of genres, the website comes with a legend functionality that makes it simple to identify and compare specific differences with similarities between several popular musical styles. Moreover each genre page on MusicMap features a playlist with classic songs which makes it quick and seamless to actively discover new artists with familiar tracks. So far MusicMap compiles its playlists with songs from YouTube, but firm enumerated that the website would soon support playlists from Spotify too. 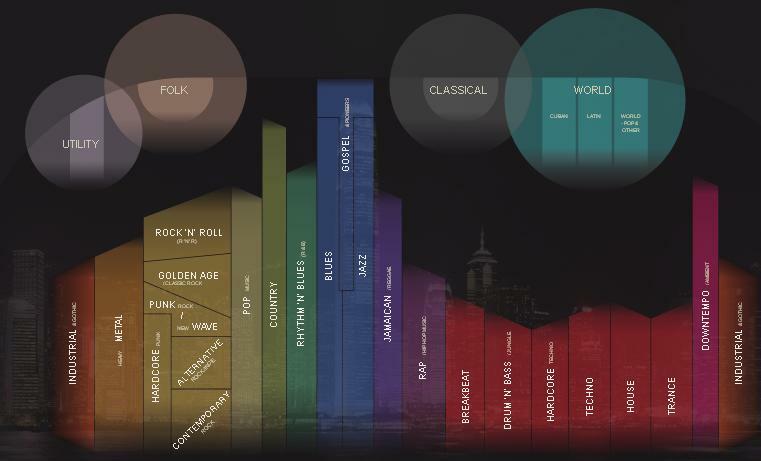 Altogether the global users could dive into the history of music genres here. Many amazing app would always captivate the international users mind and offer the users special moment worth purchasing. This familiar app of MusicMap for Web has interestingly impressed lot of users around the globe. It is enumerated that during 2016, everyone has an idea for an app. This is especially true on college campuses, where developing an app has actively replaced most popular passionate activity. 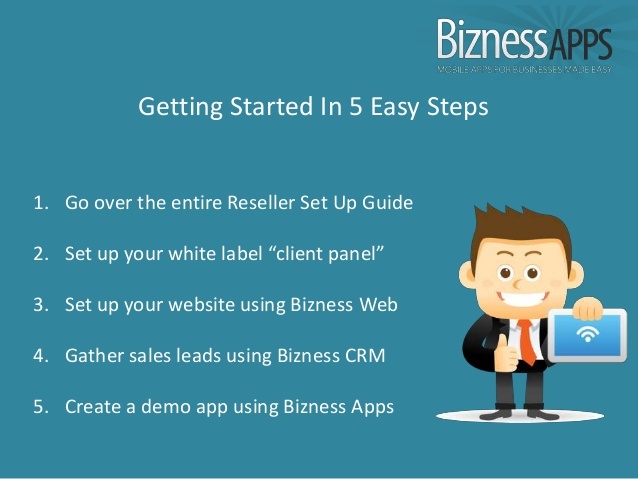 Bizness Apps for Web would certainly satisfy all needs of users. The only menace is that there are fewer developers than innovative ideas, and no CS major is going to turn your sketches into a full-fledged app for just three percent stake in the prosperous business. The trend of zeal students starting companies is amazing. It offers a kind of entrepreneurial education that is not appreciated in the classroom, and could even spur the economy if it turns into a full-fledged prosperous business. 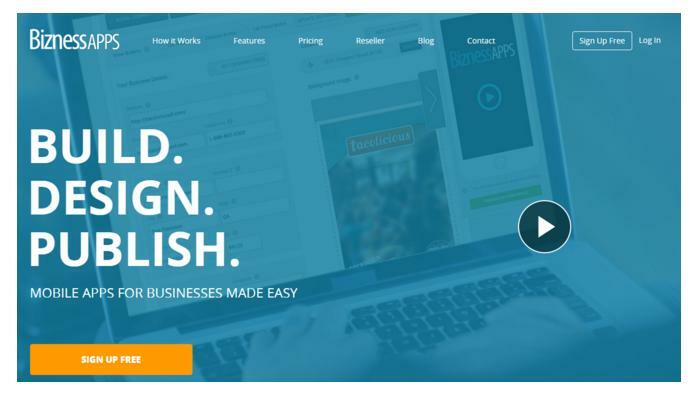 So to assist non-technical students get started, Bizness Apps, a DIY app development platform, has been giving free access to any student with a .edu account. In the first few months about 30,000 passionate students have registered for the platform, and the firm has effectively partnered with entrepreneurship departments in about eminent 50 universities to onboard students. What actually does access to the platform get them? 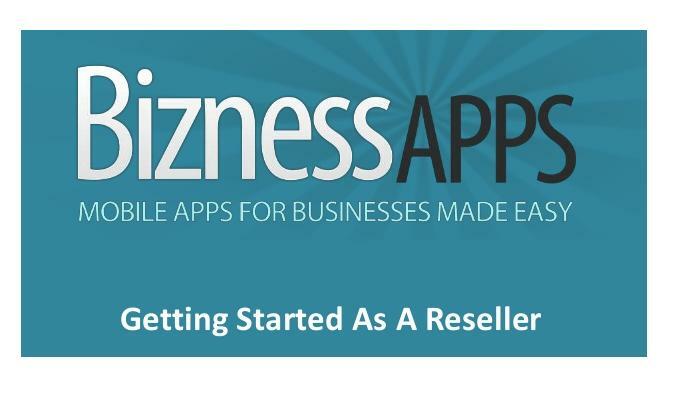 Either the tools to build an app for their own startup, or the strong ability to utilize Bizness App white-label solution and sell apps to local small businesses, which could be quality business in their own right. The more students using the platform, the stronger word-of-mouth promotion the organization would get. Eventually the firm is genuinely interested in assisting create as many student entrepreneurs as possible. And with this popular app-crazed world we live in offering students access to an app-builder is probably the quality way to make this happen. Any student could register here, and as long as they use their .edu email address to sign up such that they would receive free access. Altogether this is a great move and Bizness Apps for Web would help in many ways for users.